With 90 per cent of gravely wounded security personnel succumbing to injuries within a few hours, DRDO’s medical laboratory has come up with a range of ‘combat casualty drugs’ that can extend the golden hour till the trooper is shifted to hospital. 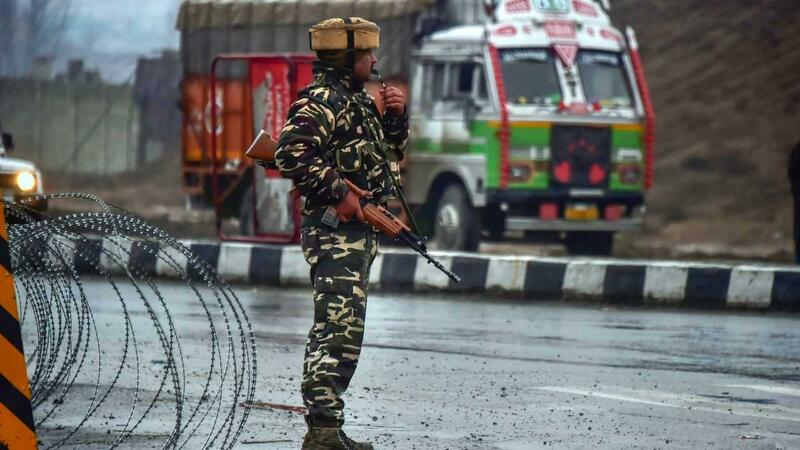 Citing the February 14 terror attack in Pulwama where 40 CRPF soldiers were killed, they said the medicines could have brought down the death toll. According to developers of the drugs at the Institute of Nuclear Medicine and Allied Sciences, a laboratory of the Defence Research and Development Organisation, chances of survival and minimum disability are highest when effective first aid care is given within the golden hour. Scientists at INMAS, entrusted with research and development in a number of areas concerning the defence sector, said the main battlefield emergencies are excess bleeding, sepsis, shock, hypovolemia (decreased blood volume) and pain. DRDO’s indigenously made medicines will be a boon for paramilitary and defence personnel during warfare, said A K Singh, director general of life sciences at the organisation. These medicines will ensure that our brave soldiers do not suffer from unwanted blood loss while being taken to a better healthcare from war zones, he told PTI. The challenges are many. There is only one medical person and limited equipment to take care of soldiers during combat in most cases. This is compounded by battlefield conditions such as forests, hilly terrain and inaccessibility of vehicles, experts said. According to Manju Bala Popli, senior scientist at INMAS, glycerated saline, unlike normal saline, reduces inflammation. The drug can be life saving, particularly if the traumatic edema, collection of fluid in tissues and cavities of the body, is in the brain or lungs. Glycerated saline has life saving capacities as it gives more time to the medical personnel to shift the wounded patient to a higher care facility, Popli said. INMAS has also developed a special medicated dressing material which is 200 times more absorptive than normal dressings during bleeding wounds. Amit Tyagi, another senior scientist at INMAS and part of the team behind developing the drug, said the cellulose fibre-based dressings are more effective in stopping bleeding and keeping the wound clean. Additionally, antiseptics, antibiotics and curcumin can be impregnated in the dressing which acts as a slow drug release system, said a note prepared by INMAS on the medicines developed by it. Normal cotton dressing used for bleeding wounds has sub optimal absorptive capacity and is soiled after sometime. In heavily bleeding wounds, putting a normal dressing can actually enhance the bleeding by sucking out the blood,” said INMAS scientist Gaurav Mittal. “It is safer and more effective to put in a long stuffed absorptive strip rather than individual gauge pieces. It has four-five times higher capacity to absorb blood, he said. Then there is Chitosan gel, which helps in preventing blood loss by forming a film over the wound. Coupled with platelets and red blood cells aggregation, it stops the bleeding. Its antibacterial and wound health properties are of added benefit. Chitosan gel is suitable for sealing wounds by twin action: haemostasis by chemical action and filing action. It can be used for wounds on the limbs and also cavities such as abdomen and thorax, INMAS Director Tarun Sekhri told PTI. The gel is poured onto the wound and held with physical pressure for few minutes till the bleeding stops, he said. It is topped by Chitosan wound cover. If the wound is deep, filters like silk and cellulose granules may be used after Chitosan gel, he explained. The products developed for jungle warfare are at the stage of implementation, said Aseem Bhatnagar, additional director of the institute. The Ministry of Home Affairs has recommended the cost-effective drugs to be inducted into their paramilitary forces while efforts are on with other forces for induction,” he said. Part of the range is hypocholorous acid (HOCL), a disinfectant for troopers involved in jungle warfare. It is helpful in treating necrotising fascitis, a rapidly progressing bacterial infection of soft tissues. Bacterial toxins cause local tissue damage and necrosis, as well as blunt immune system responses. In such cases, pure 0.01 per cent HoCL has both broad-spectrum antimicrobial activity and can rapidly neutralise bacterial toxins. Bhatnagar said jungle warfare wounds have significant infection risk. The standard approach is to treat them with antibiotics. However, overuse and misuse of antibiotics often leads to breeding resistant strains of superbugs. A safe and effective alternative method for managing infected wounds is by using a more non-traditional cleansing agent. While the use of HOCL does not obviate the need for antibiotic, it augments treatment and speed of wounds healing. Undesirable side effects and antibiotics resistance gets reduced, Bhatnagar said. INMAS scientists have also discovered a new route for administering the Nalbuphine injection to reduce pain during mutilating war injuries.